For the last several years I’ve made a trip to Walt Disney World in December to take in the sights of the season and meet up with friends. One of the events I’ve never missed is the Candlelight Processional in Epcot. This beautiful nightly performance features an orchestra, a choir, including cast members and community singing groups, and a celebrity narrator telling the story of the birth of Christ. The narrator reads from the Bible between gorgeous arrangements of corresponding songs. While I am not a particularly musical person I can’t help but marvel at the talent of the musicians and singers each time I get to see the show. If this doesn’t put you in the Christmas spirit, I’m not sure what will. For 2011 the show is performed each night at 5:00, 6:45, and 8:15 from November 25 to December 30 at the America Gardens Theatre in the American Adventure Pavilion. It will go on rain or shine and most of the seats are not covered so be prepared if you are there on a stormy day. I recently experienced the show in the pouring rain and it wasn’t the most comfortable experience, but I’m glad I got to see it anyway. A poncho is a must! Seating for the Candlelight Processional is limited so lines form early. The staff here at TouringPlans.com know a few things about queues so I thought I’d offer up some advice. If you would like to see the show via the standby queue I recommend arriving well over an hour in advance, especially if the narrator will draw crowds. This year I got to see Neil Patrick Harris who was very popular with guests; the standby line was huge! While it may seem like a waste of time, arriving early will be your best bet for getting into your desired show time. You can always swing by the American Adventure to see if a queue is forming and go hit an attraction before coming back if it doesn’t look so bad. I’d try to see the Voices of Liberty to put you in the Christmas music mood. If spending valuable touring time waiting for the Candlelight Processional doesn’t sound appealing to you and your family, you have a couple of options. The easiest one being standing at the back of the theater. 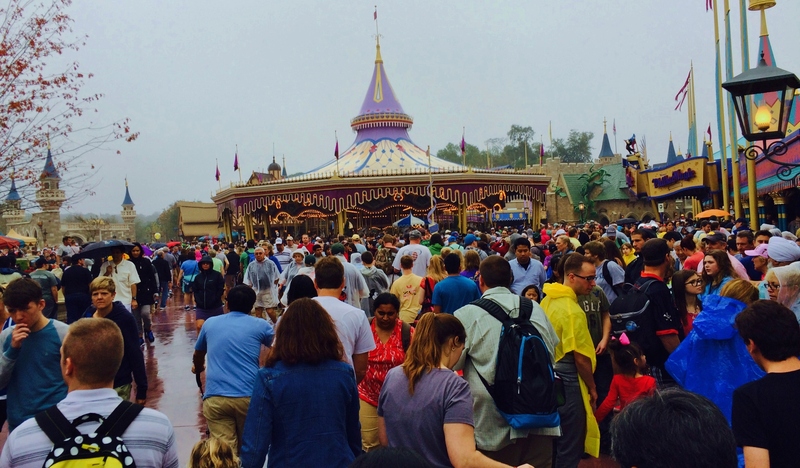 Visibility will be limited and you’ll have to stand on your tired theme park feet, but it is an easy solution to the waiting problem. I’ve also grabbed a drink and a snack and sat at a table outside the American Adventure and just listened to the show. This plan is a very relaxed approach to enjoying the show and I recommend it for folks who have seen it before, but still enjoy the music. If you would still like to sit to see the performance, your family can bypass the standby queue by reserving a Candlelight Processional Dinner Package which allows access to a special line for participating guests. While this may sound great, it is very pricey. For example, it usually costs $32.99 for an adult to eat dinner at Germany’s Biergarten, but the package costs $50.99! If you throw in a couple of beers (as I tend to do at Biergarten) you are looking at a very expensive meal for a family. What’s more is that this restaurant offers one of the least expensive package offerings! Many of the other Epcot restaurants charge $64.99 for an adult who wishes to use the package! You may opt to eat lunch for a slightly more reasonable range of $32.99-$51.99. Would I recommend this option? If you have never seen the Candlelight Processional before and you want to splurge on something during your trip, I say go for it. Or maybe you plan to use the Disney Dining Plan and have table service credits to burn (the package will cost two credits), then by all means book the package. I certainly don’t do it every year because of the cost, but every few years I say, what the heck? 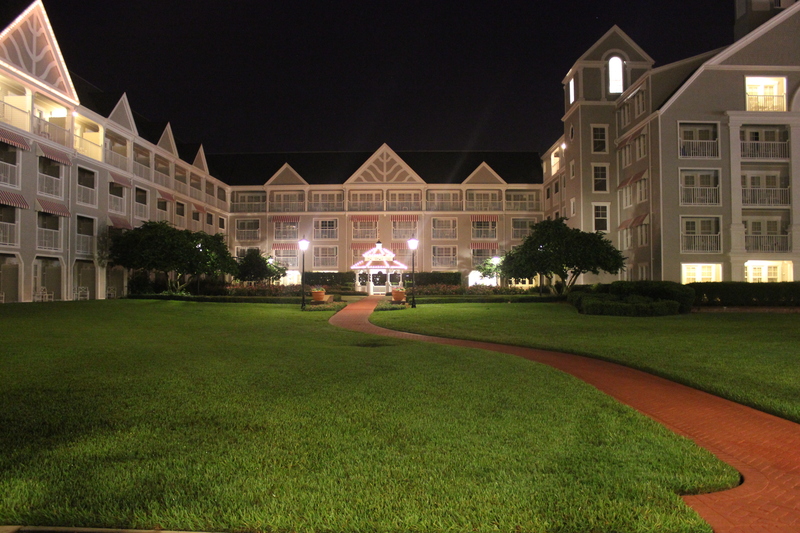 You will need to make your arrangements early by calling (407) WDW-DINE. 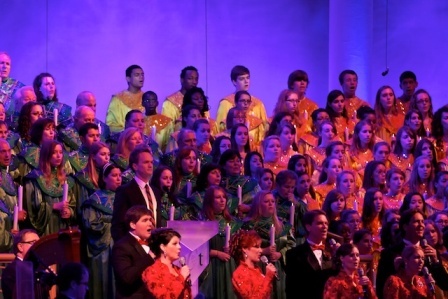 For me, the Candlelight Processional is a must do holiday activity at Disney World whether I stand at the back of the theater, book the dinner package, or tough it out in the standby queue. I even listen to a recording of it at home! It warms my heart in ways I cannot explain and it makes me feel ready for all of the Christmas craziness when I return home from my vacation. I can only hope you love it as much as I do and that my tips will help you enjoy it even more! Happy Holidays to all of our readers no matter what you’re celebrating this season! Kristen Helmstetter is an Unofficial Guide researcher who will share her 20-something perspective of all things Walt Disney World with blog readers. Kristen’s email address is khelmstetter05@yahoo.com. You can also follow her on Twitter: @khelmstetter. I’ve been around this event, and attended this event, a few times. There is one more thing worth noting…if you are at Epcot while the people are lining up for this, be prepared for crowds around the pavilion area. Walking past is challenging before, during, and especially after, these events. It took me about 12 minutes to walk from Italy to Morocco once, and I was just trying to pass by! I sang in choir in high school for 5 years when I lived in Tampa and our choir was chosen each year to participate (you had to submit a audio of singing a few of the songs they sent you in the application). That was before EPCOT opened when they did it in front of the train station on main street. 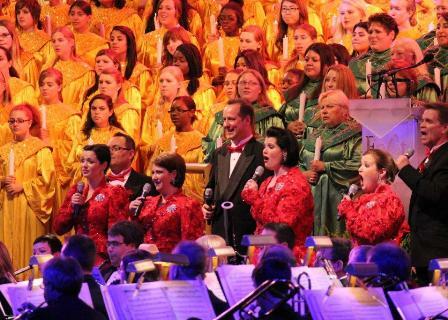 Great write up of the Candlelight Processional! This is by far my favorite activity during the holidays at WDW! 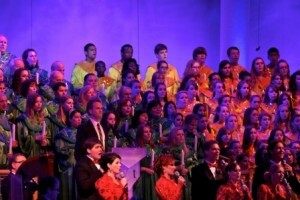 I’ve attended the Candlelight Processional many times. We’ve given up doing the dinner packages, as we consider it just too expensive. I’ve never had trouble getting into a show as long as it was a weeknight in the first half of December and a narrator who isn’t a top draw. For instance, last week while we were there, Lorraine Bracco was the narrator. The entire standby line for the 8:15 show on Tuesday night was admitted before the show started, so I just walked in at the last minute and had a great seat a little over halfway back. I was passing by the theater Wednesday evening when Lorraine Bracco was still the narrator and noted that, again, the entire standby line had been let in, and people were still being seated after the show started. Weekends are much more crowded, as are any shows with the very popular narrators, like Neil Patrick Harris or Whoopi Goldberg. But if you aren’t fussy about the narrator – and anyone I’ve heard has been good – and you can go to a weeknight show well before Christmas week, you probably won’t even have to stand in line to get in. My experience was similar. We went December 7, but were in Epcot several different nights that week. Both the standby line and the reserved seating lines were long, but about 10 minutes prior to the show, you could walk in and sit near the back. Our seats were great–we weren’t squished, there was plenty of room. They do close the theater, though, so if the show is just beginning and you see open seats you can’t sit in them. We saw the 7:30 American Experience and then walked right into CP. It was freezing. Glad I had a rain poncho to go over my sweater and jacket. Some people had bought blankets from the UK pavilion. The problem with the dinner package is that you still have to wait in line–maybe even an hour. Neil Patrick Harris was by far the craziest I’ve ever seen the standby line. I got in line an hour ahead hoping to get into the 6:45 show and ended up with a pretty good seat for 8:15. It was absolutely worth the wait, though. (This was on a Monday night, by the way) I can also recommend Marlee Matlin for those who haven’t gone yet. She’s one of my absolute favorites.